Chulu East peak first climbed in 1955 by a German expedition via the north-east ridge, the peak of Chulu East, together with Chulu West, forms an integral part of the Manang Himal, which in turn is part of the Larger Damodar Himal. Chulu East, which lies to the south-east of Chulu West is a comparatively smaller peak. 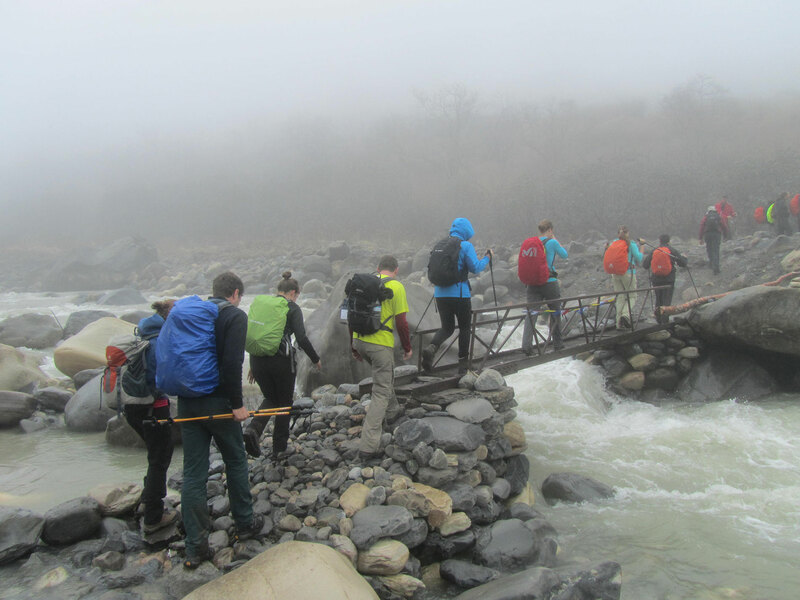 Our trek follows the Chhetaji Khola to reach a campsite at Yak Kharaka at 4000m. From there to the Chulu Far East Base Camp the trek is very steep. The Base Camp is set above a waterfall at 4700m and as we aim to arrive by lunchtime, the afternoon can be spent on an acclimatization climb. Basecamp to our high camp is also steep, the high camp set on a rocky platform near a small lake at 5300m. Next morning we climb to the summit along a route, which is both rocky and icy, but always steep so that we need to fix ropes to reach the south-west col. From there a snow ridge continues to the summit where the view takes in Annapurna II, III, IV, Gangapurna, Manaslu, Pisang Peak, Chulu west and the north side Himlung valley. Arrival and pick up from the international airport in Kathmandu after some refreshment, we will invite you for a traditional Nepali dinner. Today after breakfast we take local jeep drive to Dharapani. After breakfast, the trail from the Pisang moves steeply up all the way to Nawal, Along the way, You will be accompanied by the views of Annapurna range. After breakfast, trek through steep pastures to a convenient hollow where the meadow merges into rock and screen. Then, there appears the base camp. Eyeing high above, spectacular views of Annapurna range stretches as far as our eyes can capture. After breakfast, we trek up to the high camp and there we rest atop the terminal moraine of the Chulu glacier. The trail up to the high camp follows screed and snow slopes. Resting at the high camp, we take a plenty of time to relax and prepare equipment and strategies for the next day. Today, we make an early start across the undulating glacier as the trail takes snow and ice slopes. As we continue ascending, several peaks come en route. Eventually we run out of mountain at a small snow dome with steep slopes falling away on all sides. At this point, our high camp diminishes to toy-town stature and climbing to such an altitude gives us a feeling of sitting on top of the roof of the world. After we scale Chulu Far East Summit and have our share of celebrating this glorious victory, we descend along the steep slopes to the Base camp. As we walk away from Base camp, the trail crosses Cheggi Khola and ascends gradually up the west bank. Soon after trekking for more than an hour, the trail faces a valley and then we encounter a stone hut surrounded by apple trees. We are now bestowed with a stunning view up the side valley; the trail further steepens and winds through a small meadow. On the way, we come across goat and yak pastures. The first small settlement we reach after a steady walk upwards is Letdar (4250m). With a climb along the east bank of the Jarsang Khola, we will reach Thorung Phedi (4450m) which means “foot of the hill”, and indeed this is the starting point for the long trek up to the pass at 5416m. After having breakfast we do full day sightseeing around Pokhara which includes visiting temples, caves, gorges and waterfalls, Mountain Museum. An early breakfast and, we transfer to bus station for further drive to Kathmandu.